T3 now supports “MSTP” discovery on the subnets. Before we could only auto discover Modbus devices on the subnet. Now T3000 can discover both Modbus and Bacnet devices on the subnets. Note that this is just for Temco devices, we have work to do still before we can auto discover 3rd party bacnet devices. The for next command has finally been implemented. 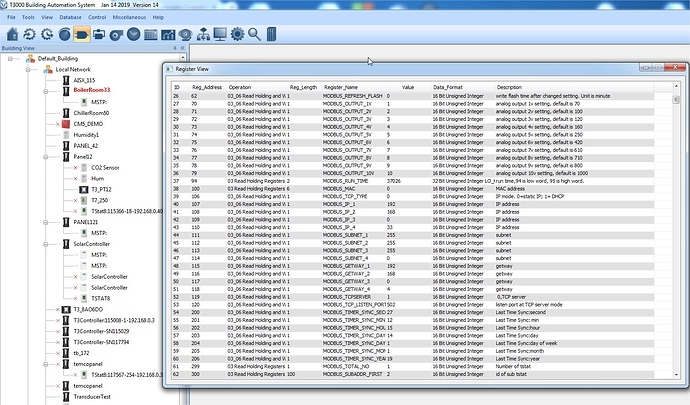 Use a local variable or one of the main VAR items as the index if you need to use the index in other programs, graphical displays and trend logs. 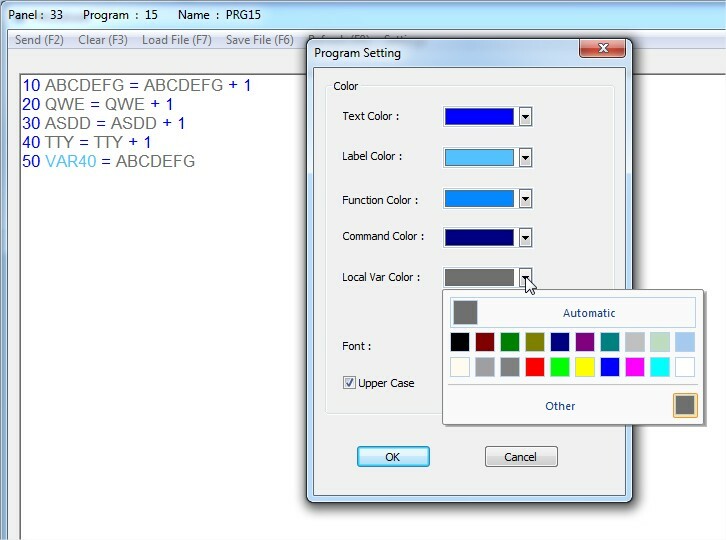 T3 Program Editor: Adjustable colors for local variables. Now you can customize the color of local variables, the default is grey which makes it less noticeable, a scratchpad item as opposed to a more important VAR or other key item with a prominent color. This is a feature that has been a long time coming, a tool to let you see modbus registers of Temco devices and (coming soon) 3rd party devices in a live grid as you work. 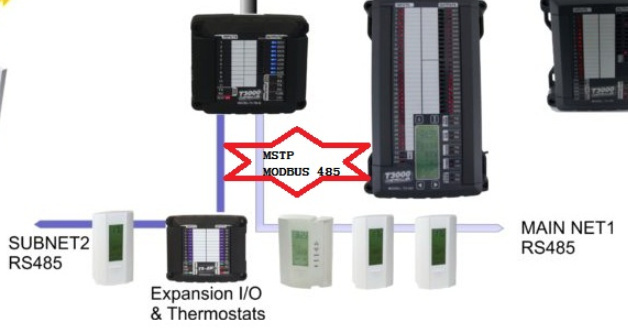 You can read & write the values in this interface as you program and integrate Modbus devices. The next step will be to build up a library of 3rd party products and Bacnet protocol.